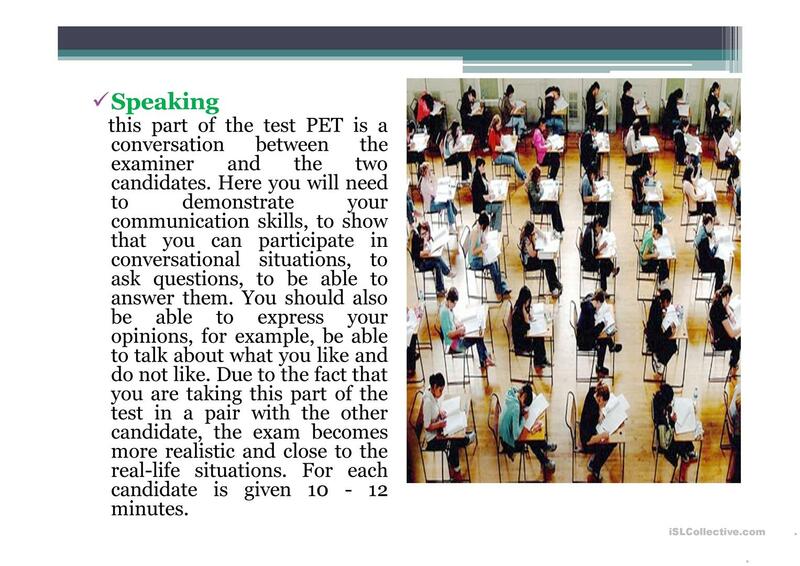 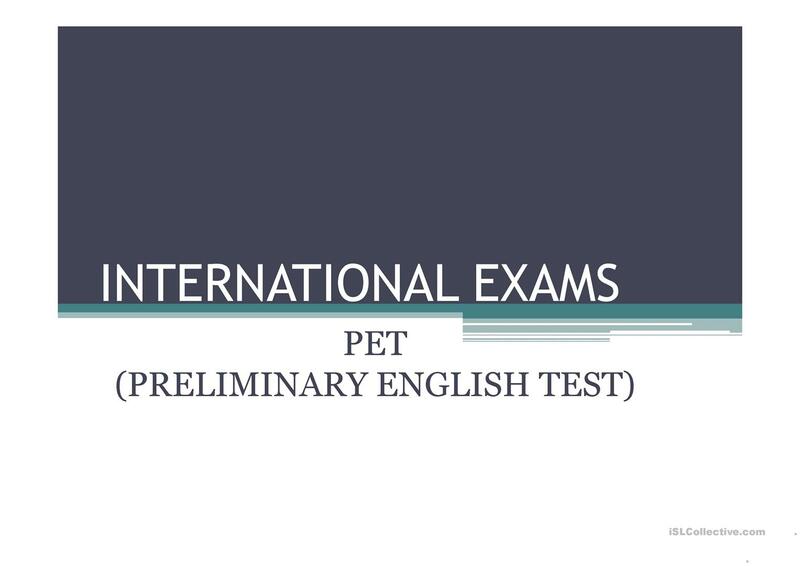 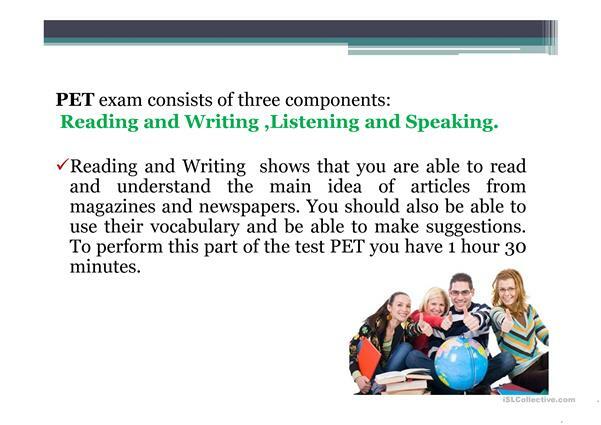 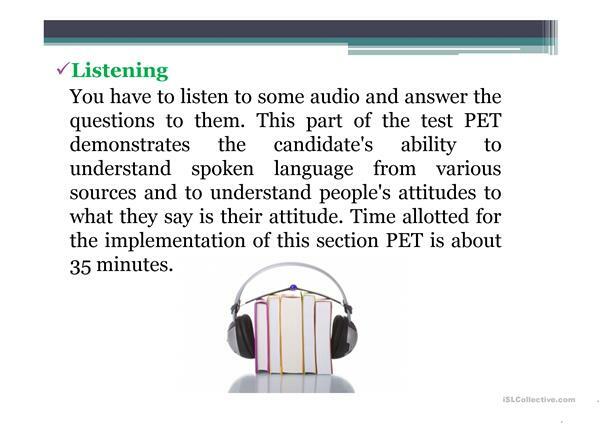 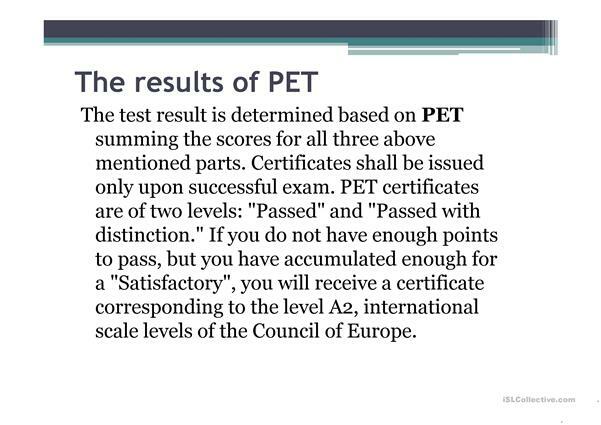 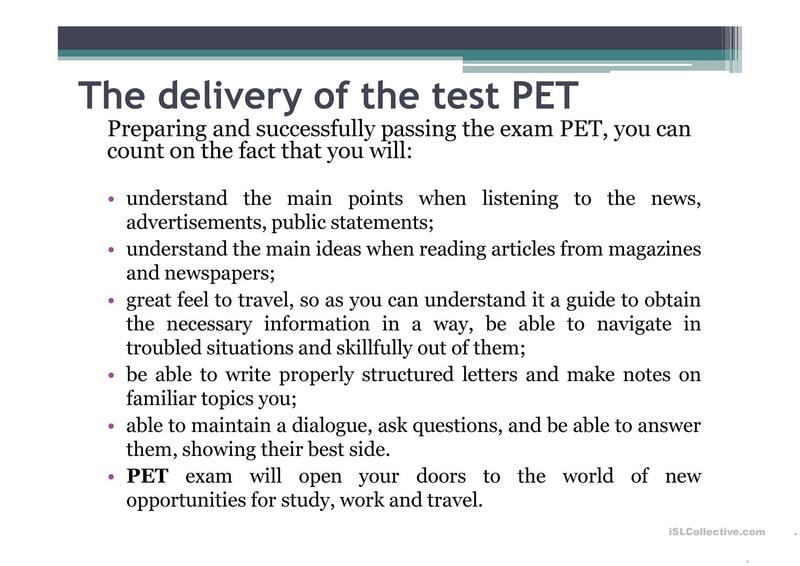 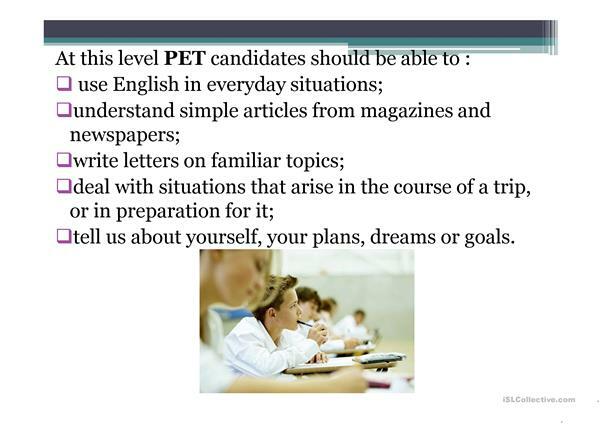 You can use this ppt to explain the aims of passing PET exam to your students and to stress that it opens their doors to the world of new opportunities for study, work and travel. 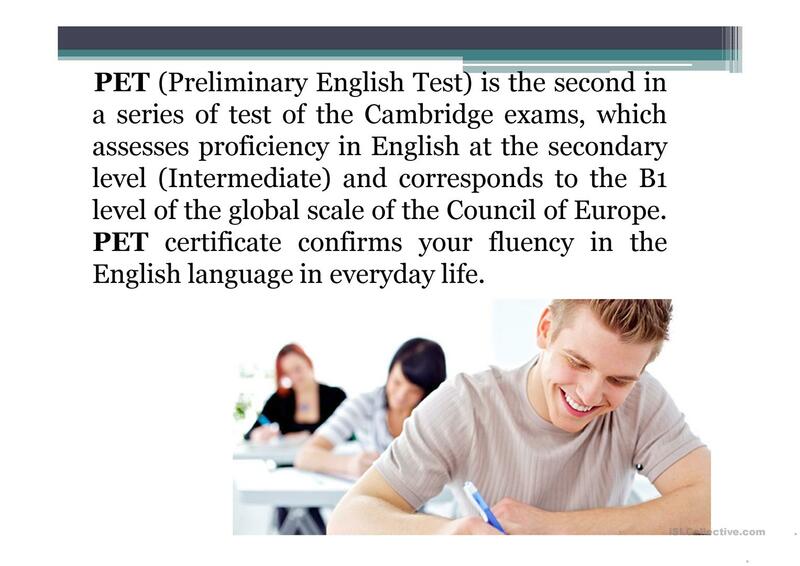 The present printable, downloadable handout is recommended for high school students and adults at Upper-intermediate (B2) level. 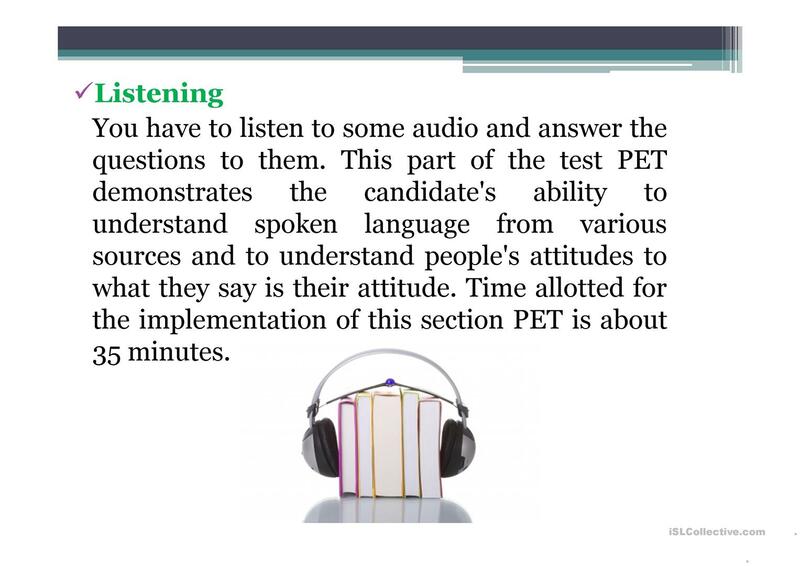 It was designed for developing your class' Listening and Reading skills. 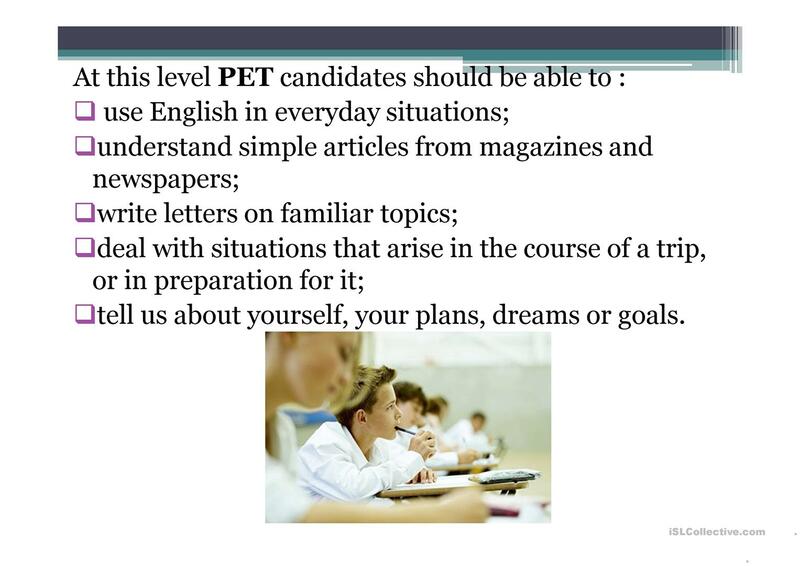 It is focused on the vocabulary topic of Learning languages.